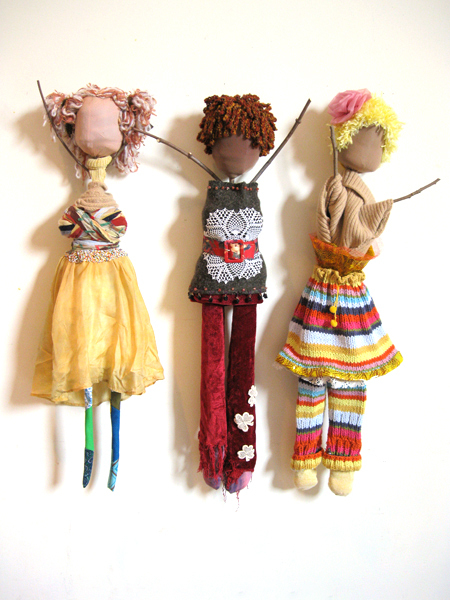 Three Recycled Graces: Arlene, Darlene, and Mable. 48″ x 36″ x 8″. 2009.